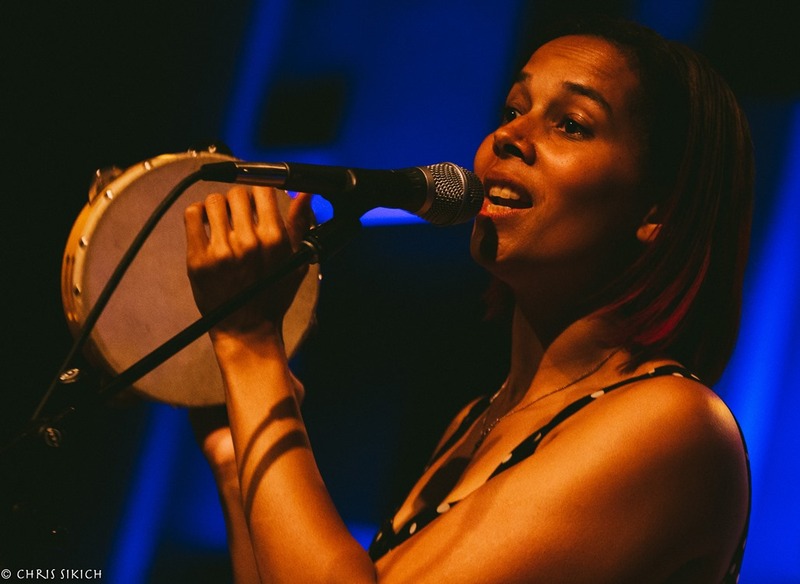 Rhiannon Giddens is one of our finest musical talents and not to be missed. Her recent trek to World Café Live in support of her new record Freedom Highway was a glorious night of music to invigorate the soul and electrify the ears. Giddens has a rich vocal range that perfectly matches whatever music genre, whether it be folk or soul. Topical in nature, with the abominable history of slavery in the stunning “At the Purchaser’s Option” becoming a chilling reminder of what humanity is capable of. Other songs from her newest work including “Julie” and “Following the North Star” showed off her wealth of musical knowledge. A spirited cover of “Mr. Big Stuff” jolted the crowd with joy and the sting of her Giddens’ connection of it to our current president. Other covers, from Sister Rosetta Tharpe and The Staples Singers, connected Giddens’ message to the welcoming audience with voices of the past in a new light. The latter’s “Freedom Highway” is a beautiful and stirring work that reminds the world that we cannot stop looking for freedom and justice. As long as there are voices as powerful as Giddens behind such truths, humanity is in good hands. Copyright ©2017 PopEntertainment.com. All rights reserved. Posted: May 18, 2017. Tags: 2017, At the Purchaser's Option, Chris Sikich, Concert Photo Albums, Concert Photography, Concert Photos, concert reviews, Freedom Highway, May 14, Mr. Big Stuff, PA, philadelphia, PopEntertainment.com, President, Rhiannon Giddens, sister rosetta tharpe, slavery, The Staple Singers, world cafe live. Bookmark the permalink.